This entry was posted on 22 March 2016 at 7:51 and is filed under virtual reality. You can subscribe via RSS 2.0 feed to this post's comments. Here is another one. Using virtual reality gear to improve vision impairments. Useful examples for future work. Thank you. Good stuff, thanks Dejan. Funny how we both settled on the number 20! Thanks for sharing this great wealth of knowledge. Much appreciated. Here is another one. Users may check the following to get – “Virtual Reality In The Classroom”. Thanks for the addition, eNyota. Do you know of any schools using Pioneer Expeditions? Thank you for your kind words, Stephen. 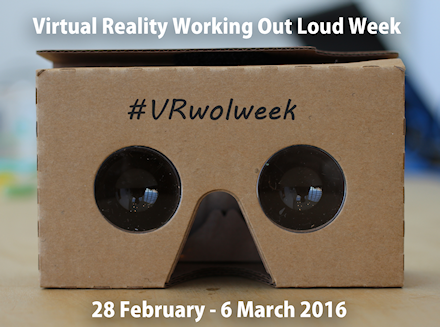 I hope you’ll participate actively in the next #VRwolweek in 2017. Congratulations on your excellent work with Beach Road 360VR. It’s a wonderful example of how this technology can immerse the viewer into the story. I especially like the scene where the protagonist is sitting at the car park – when you turn around, you can see what he is seeing and so feel that much more connected. Well done! Great article. It does seem VR will be the next thing and the possibilities are endless. Ask the person sitting next to you what they think would be a good idea for VR and I’m sure they could give you a few ideas instantly. It’s just making those ideas in reality. Indeed Jed, VR is growing and becoming ever more mainstream by the day. I’m especially excited by WebVR, for which the virtual experience isn’t locked into a particular app’s infrastructure. Thanks for saying so! Yes, I think seeing real examples helps to explain what this concept actually is.